Restart functionality has been in many Android skins for years, but Google only officially introduced it to stock Android last year with Android 7.1. 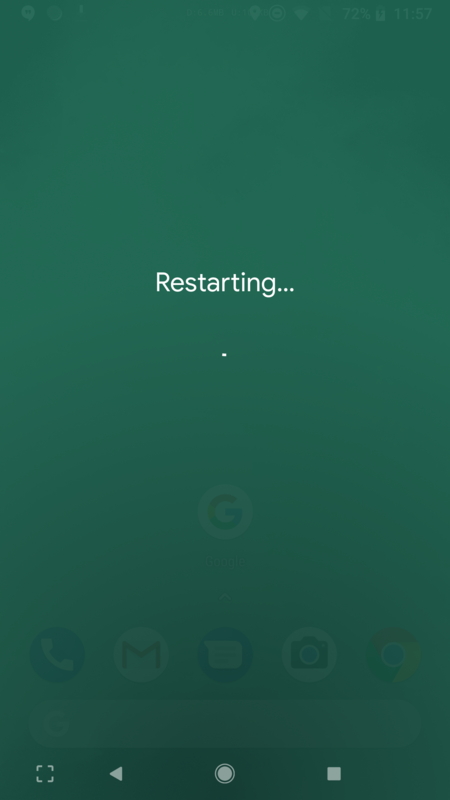 However, the pop-up that appeared when you hit the restart button still showed the default text for a shut-down instead of 'Restarting...', which is much more logical. 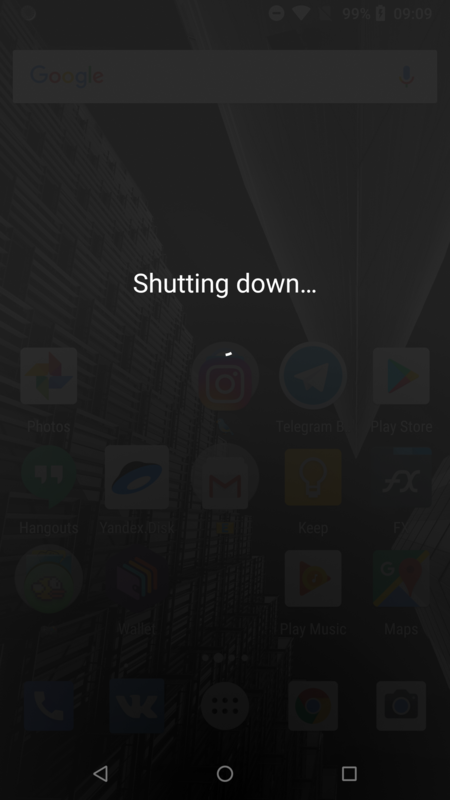 Android 8.1 Oreo fixes this issue, and brings a splash of color to both the shut-down and restart screens to go with the new power menu design. The 'Restarting...' text is new; previously, restarting just showed the same message as shutting down, which could be a little misleading. It reminds us a lot of the restart menus on newer Samsung and LG devices. The green color you see here is extracted from the wallpaper color, much like it is for the power menu. 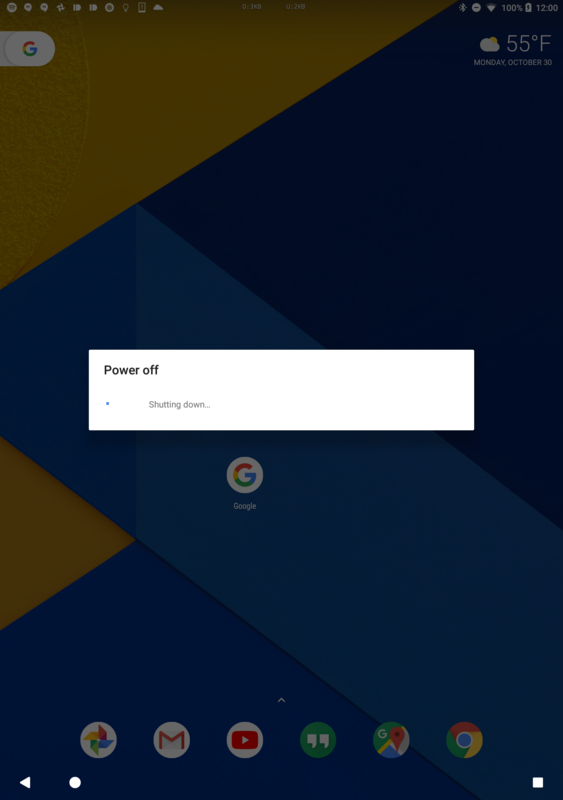 For reference, here's what the restart screen looks like on a Pixel C on 8.0. Now that we're looking at the new, more colorful screen from 8.1, this one looks downright old.